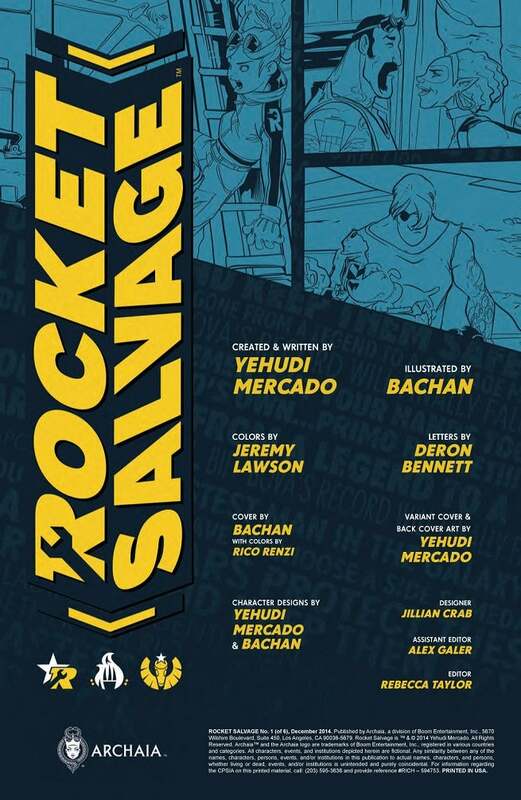 Writer Yehudi Mercado and artist Bachan are headed to space tomorrow with Rocket Salvage, a spacefaring adventure tale about a family of mechanics on a down and out spaceport set in a galaxy where two equally evil forces have been at war for a thousand years. "Imagine Star Wars where the Rebel Alliance and the Empire are both terrible," Mercado joked. The series, coming from Archaia Entertainment, isn't Mercado's first time visiting the stars, of course; he's worked on Guardians of the Galaxy: The Universal Weapon, a mobile game you can check out a preview of below. 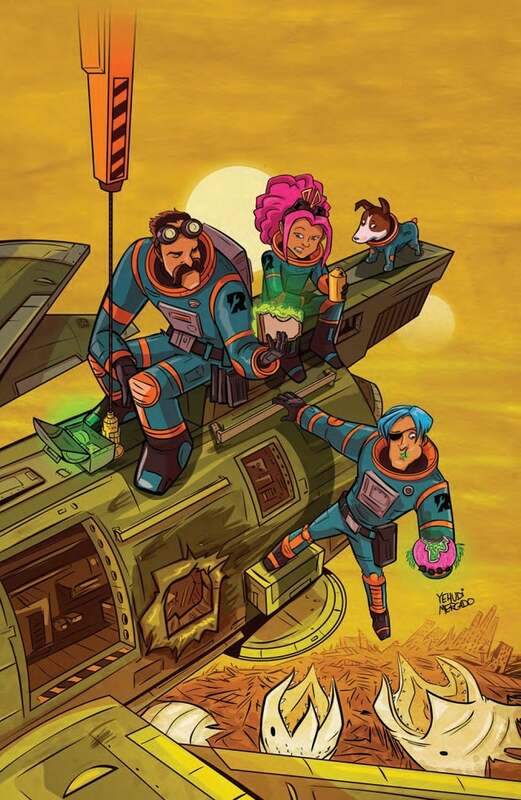 Mercado joined ComicBook.com to talk about the series, and share some preview pages. This project seems like you're having a lot of fun with character archetypes picked from various storytelling styles and then thrown together. Did you set out to do that or is the story you're telling just one that fits into some of those traditions? In the movie Oblivion it makes no sense to clone Tom Cruise and keep him at the same age. If the aliens wanted the greatest warrior on Earth, why would they preserve him as a 50 year old man? 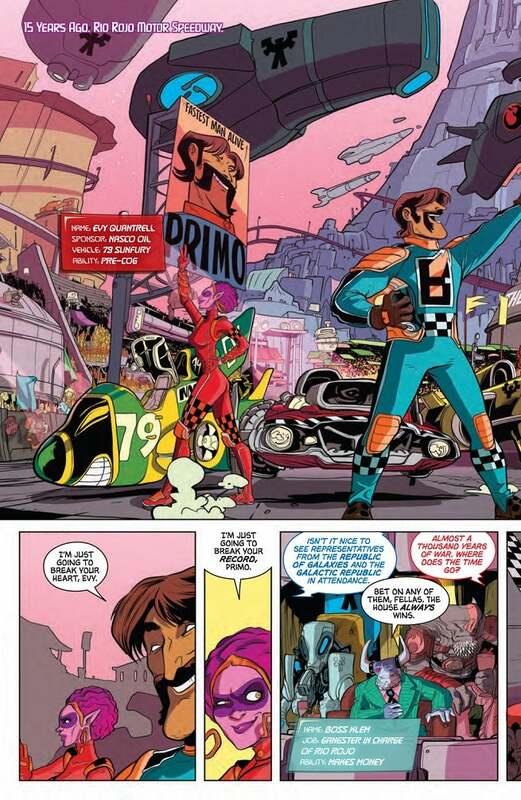 [END SPOILERS] And with the racecar driving aspect, I tend to gravitate towards that in all my books. My first book, Buffalo Speedway, is about pizza delivery drivers and has more of a Cannonball Run/Fast & Furious vibe. And my second book Pantalones, TX is like Smokey and the Bandit for kids. I also always tend to have main characters who are on the other side of the law, I think it amps up the tension and danger when you know your main characters can’t just call the police. How much did you work with Bachan to design the look of the series? It feels almost like animation when you look at the images. Bachan picked up and ran with my original cartoony designs right away. He has a way of making the art super detailed yet fun and animated at the same time. Some of the pages fooled some of my friends, they thought I had gotten dramatically better at drawing when they saw it because it looks like a natural evolution. Everyone needs to grab the Imagine Agents trade paperback when it comes out [December 17th]. It doesn't explicitly say it, but given your past body of work, is it safe to assume that this story will have a fair amount of comic relief? There’s a character who comes in on the second issue who’s kind of a wild card he offers some levity. But ultimately it does have more of a dramatic tone. It’s interesting, in order to do comedy right in comics you need more page count. Buffalo Speedway is 336 pages. It’s harder to add in banter and jokes when you need to squeeze in so much in 22 pages. What are some of the big influences that you bring into a project like this? Are you hoping to craft more of a high-octane action story like The Fast & Furious films or something more like an old-school adventure story like Indiana Jones or Flash Gordon? It’s more like Indiana Jones and Flash Gordon for sure. Fifth Element was in the back of my mind, too. Raiders of the Lost Ark was a major influence. Also Firefly was a major touchpoint. And Casablanca, I see the spaceport Rio Rojo as the Casablanca of space but instead of it being a pathway to the safety of the West, it’s the dead end. I love the idea of blue collar, old fashioned, regular Joes wrapped up in in intergalactic upheaval. A related question I like to ask creators who are building their own universe: If you could cross this book over with one familiar property, what would it be and why would that character/concept fit into your world? I want Primo Rocket to meet Wall-E. Even though Primo hates robots I think he and Wall-E would get along. When you're creating these whole worlds from the ground up, what's the hardest thing to crack? Is it how other worlds' cultures operate, or the science or what? I think the hardest thing to establish are the rules of the universe without bogging the reader down with boring exposition. I remember George Lucas saying that he hated when sci-fi films would over explain seemingly mundane events rather than treat them as an everyday occurrence. For instance when you start your car you don’t say, “And now the combustion engine is igniting the fuel in order to move the pistons…” You just turn on the engine. In the world of Rocket Salvage the race car drivers are sort of like the Jedi, they have enhanced abilities that are coveted by the two warring factions. There were many drafts spent where I over-explained that. At its core, this is still a book about family. How does the group dynamic work? You've got somebody who's clearly kind of the captain of the ship, but obviously it's not always that cut-and-dry when the crew is your family. Right, Primo is the boss but it’s not like he can boot anyone off his ship. He’s a salvager so he never gives up on anything. Any machine can be fixed. Primo runs the operation more like a family business, he wants his “kids” ready to take it over someday. Keeping them working, keeps them out of the war. What's the relationship between Primo and Beta like? I kind of got the impression from a previous interview that they harvested parts off of Beta to "repair" Primo back before they all became a family. 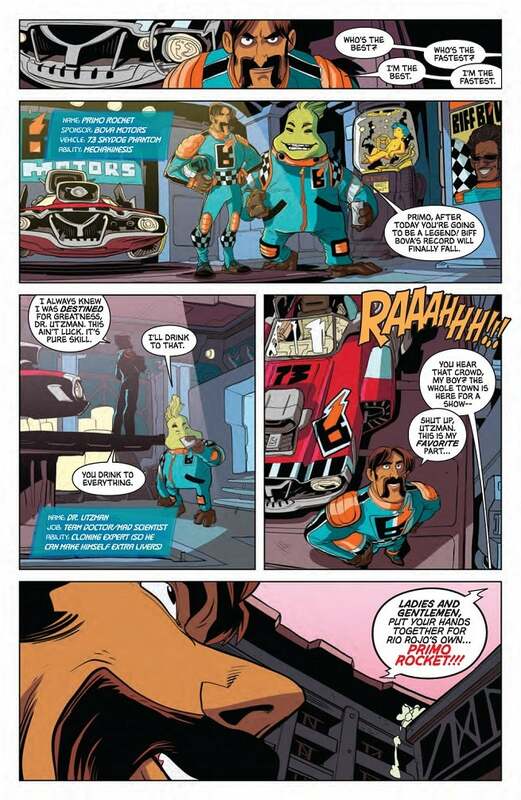 Every race car driver in this universe is assigned a Harvest Clone as source of spare parts. No has ever kept their clone around long enough to raise. Since Primo doesn’t throw anything away he keeps Beta around after the crash and focuses all his energy into raising him. But there’s an extra added point of frustration because he’s literally raising himself, so any little annoying thing that he hates about himself he sees staring him in the face. Any mistake he made as a youth he knows Beta will make the same exact mistake, it’s frustrating. Raising a clone of yourself...does the book delve into the idea of nature vs. nurture at all? Very much so. Primo is trying to instill a solid moral code into both Beta and Zeta even though they have completely different personalities. I’m not a parent, but I imagine this is something every parent goes through. What's your elevator pitch to people who skipped to the end because I'm boring? 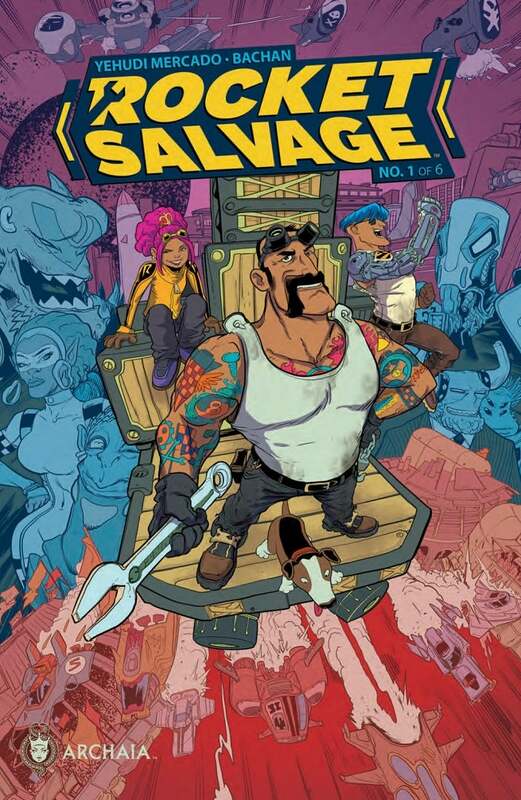 It’s a sci-fi adventure about a family of mechanics on a down and out spaceport set in a galaxy where two equally evil forces have been at war for a thousand years. Imagine Star Wars where the Rebel Alliance and the Empire are both terrible.